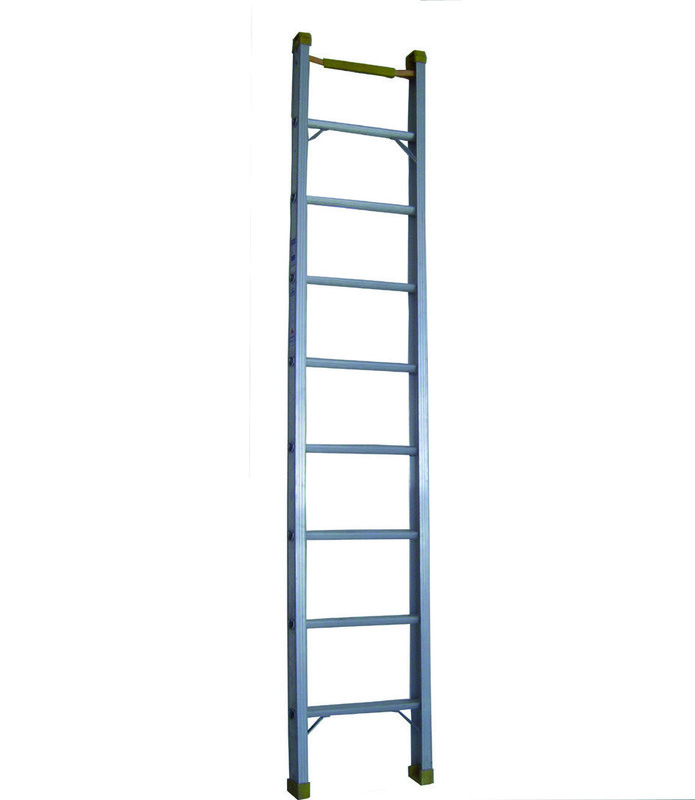 Extra wide heavy-duty flat aluminium top can also be stood on for greatest height access. 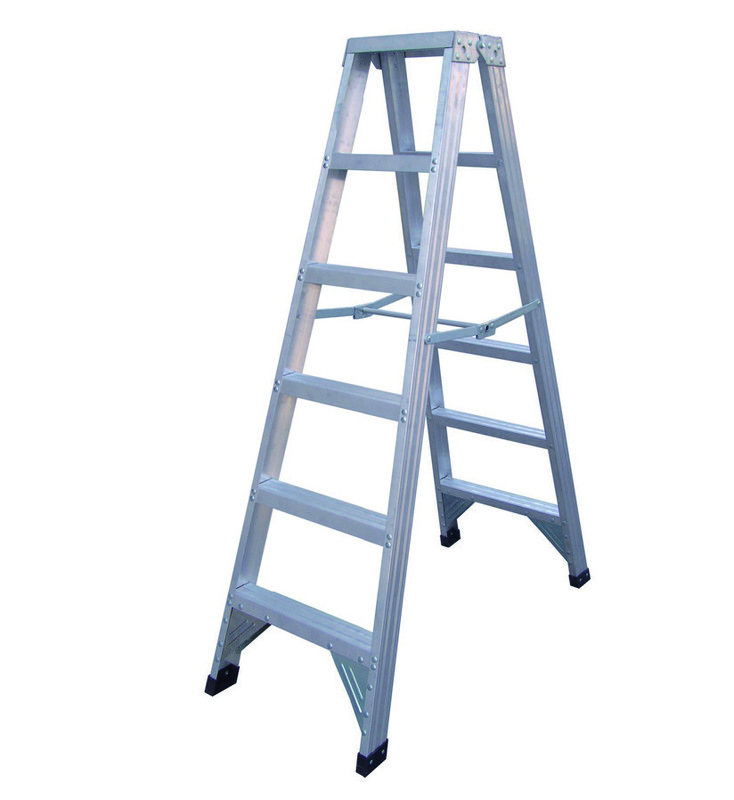 Aluminium steps reduce overall weight reducing protection level. 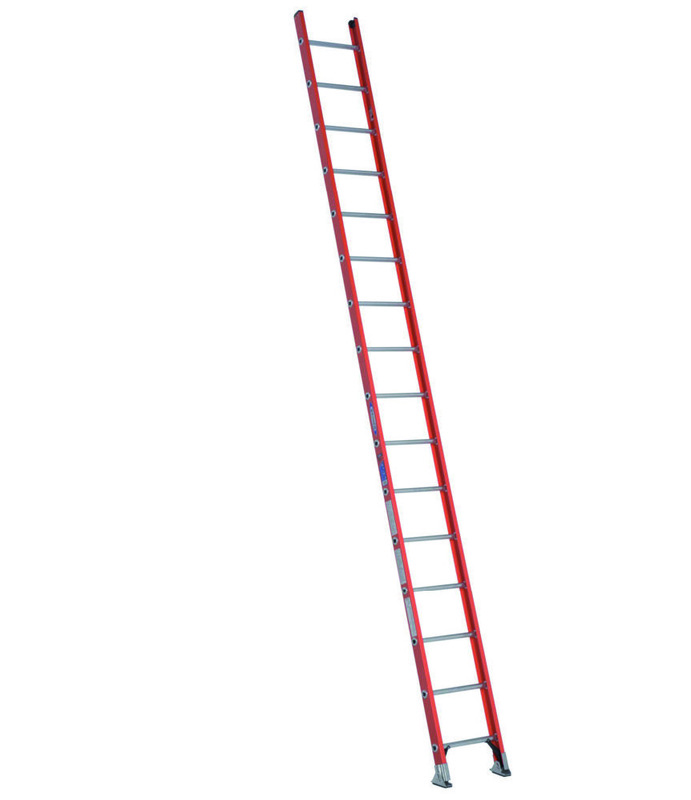 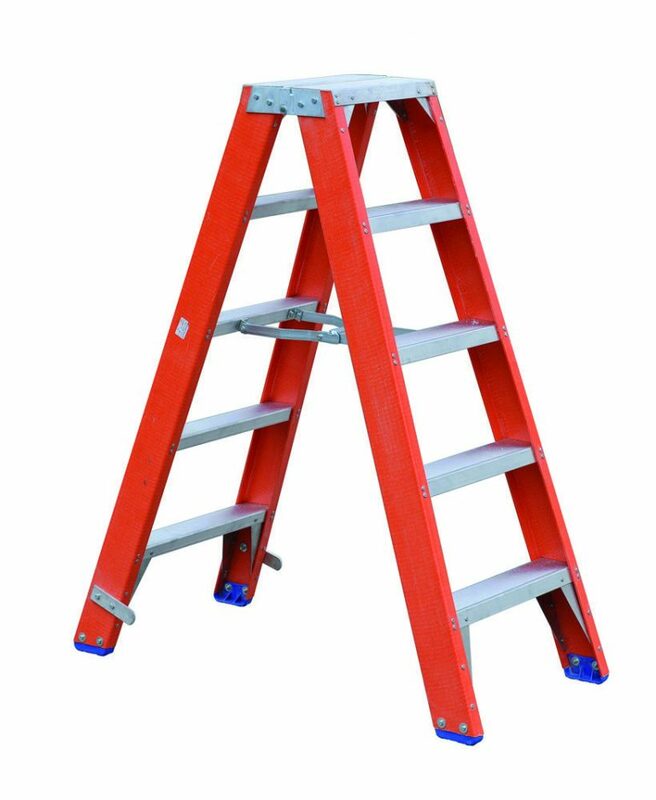 Identical front and back sections permit two persons to use the ladder at the same time. 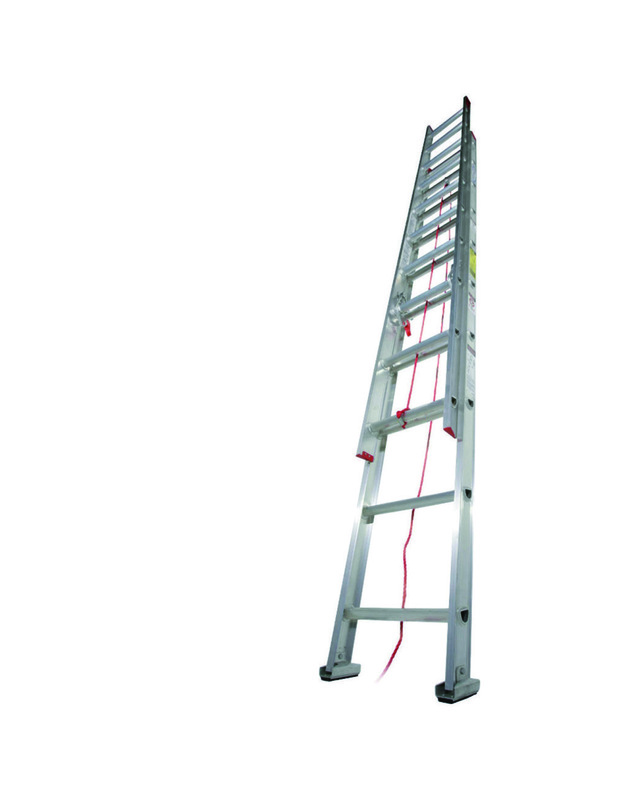 74 degree angle positioning and conical construction ensures safety when standing upright. Optical plastic top and spring castor wheels available on request.